Secure Digital memory cards could soon hold your personal data and a host of smart applications, after the SD Association revealed plans to make them more functional. 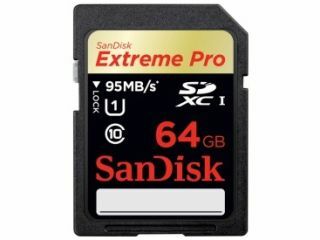 The SD cards, which we're used to slotting into our cameras, smartphones, laptops and other personal devices have traditionally just held files like photos, music and documents. However, the SD association is planning to integrate GlobalPlatform smart-chip technology which would securely protect on-board personal data, but also see cards hold a host of different information. For example, it could hold your credit card information and could be used to authenticate purchases by NFC or it could be used as a key for subscription gaming, television or on-demand video. The press release said that the new new smart-chip enabled SD cards in mobile phones could be used to further bring about the advent of a cashless society. "Standardized authentication services on microSD and full-size SD memory cards would transform consumers' mobile phones and CE devices into electronic wallets carrying cashless currency and paperless identification for use in making everyday purchases such as groceries or train tickets, or in receiving customized subscription services like mobile television," it read. "Identity features on portable devices would increase consumer control over their personal data compared to today's wallets typically bulging with cards. "This would provide consumers with greater security than cloud-based solutions since the smart-chip enabled SD memory cards would only be active in an authorized device." The new SD cards would stick to the existing standard meaning they could be slotted in to any device with an available port. We certainly like the idea of being able to authenticate subscription on multiple services using an SD card, and although they'd be secure against theft, what happens when one of these go missing? In our experience, an errant SD card, not to mention microSD cards, can be harder to find than a Liverpool fan at a Gary Neville appreciation dinner.